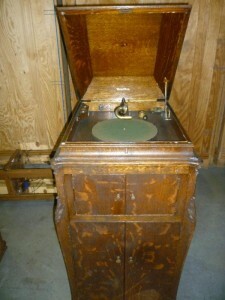 The beautiful Wurlitzer record player and cabinet were damage in a smoke filled fire. Fortunately no one was injured but there were potentially years of memories lost surrounding this record player and cabinet. 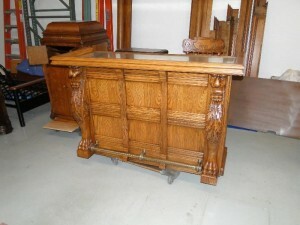 We were able to restore the cabinet to pre-loss condition and salvage the memories. The bar below was in the same fire, can you imagine the stories told around this grand piece of furniture? 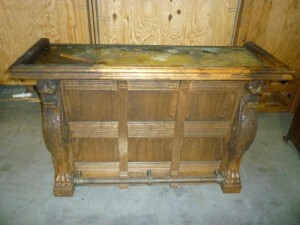 We were able to successfully protect these memories by restoring this piece of history as well. At Furniture Medic by MasterCare Experts we specialize in much more than restoring water or fire damaged wood furniture to pre-loss condition. Offer Expires 07-30-14. Available at this Furniture Medic Location only. 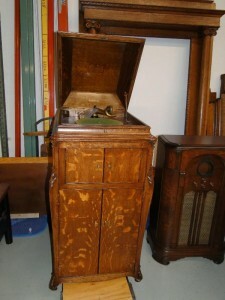 « Furniture Restoration Cost – DIY or Hire a Professional?